Back in the Food Network’s heyday, people went nuts for celebrity chefs. If you had some on-screen charisma, a repertoire of top-notch recipes, and a back pocket full of fun catchphrases, you could build yourself a little celebrity-chef empire that spilled out from the television screen into brick-and-mortar Michelin-star restaurants. But, as a new article from Businessweek proclaims, we may have entered the twilight period for celebrity chefs, some of whom now find themselves suffering from the same woes as everyone else in the restaurant industry. “The circumstances no longer exist to operate a profitable restaurant,” said famed chef Thomas Keller—best known for his Napa Valley institution The French Laundry—after his Beverly Hills restaurant Bouchon closed last December. Bouchon is just another on a long list of restaurants tied to high-profile names that have shuttered recently. Gordon Ramsay’s Maze, Daniel Boulud’s DGBG, two Emeril Lagasse-branded locations, and both Bobby Flay’s and Guy Fieri’s mid-town Manhattan restaurants plan to close or have already closed this year. It seems, regardless of whether they offer fine dining or affordable family outings, no celebrity chef’s business is safe. Businessweek’s explanation for this decline is multi-faceted. For starters, restaurants close all the time. They’re just difficult businesses to keep afloat, even when they appear outwardly successful. Diner preferences have turned away from flashy, recognizable names to more “authentic” experiences, and less people are aware of celebrity chefs in general because Food Network viewership is down. 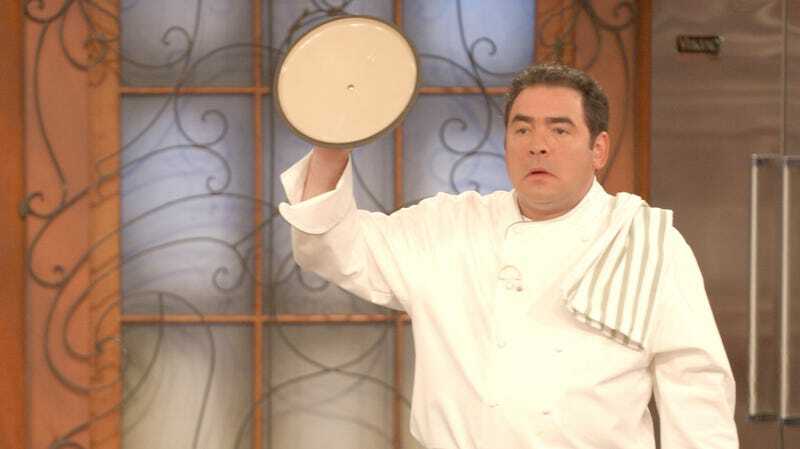 With the popularity of shows like Anthony Bourdain’s No Reservations and David Chang’s Ugly Delicious, both of which celebrate good food made passionately regardless of price point, it makes sense that diners are less interested in whatever Emeril Lagasse has got going on. Still, if you can spare it, shed a tear for the harrowing plight of the celebrity chef. Then, check out Businessweek’s full report here.